We know how important it is to detect cavities quickly, so our practice has invested in the DIAGNOdent system to help our patients improve and maintain their oral health. Locating decay before it has time to destroy the structure of the tooth from the inside out is a major goal for the dental profession, but it can be difficult to diagnose cavities that are hidden under the hard surfaces of the teeth. Defects in hard surface enamel can easily spread to the softer structure of the teeth under the surface. DIAGNOdent utilizes a system of precise laser scanning to examine the teeth while sending out an audio signal. The laser diode will formulate a baseline wavelength by measuring the fluorescent light levels that are reflected off a tooth that had no decay. Then, a digital read-out displays the results, and other enamel areas will be compared to this healthy baseline, making it simple to determine if any tooth surfaces contain even the tiniest traces of damage. By measuring the fluorescence of each tooth structure, your dentist can determine where cavities may be developing in the tiny spaces around, on, and between the teeth. 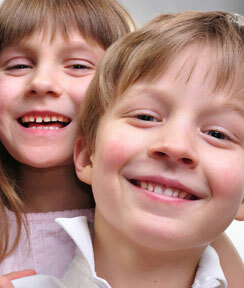 The DIAGNOdent system provides numerous benefits when used to detect cavities in kids. This system allows us to identify potential cavities that may not be apparent to the naked eye. The system is proven to be more than 90% accurate, and it doesn’t require a scratching probe, making it painless, fast, and simple. Patients also won’t need to be exposed to the radiation of an X-ray. How Much Toothpaste To Use On My Child’s Teeth?